Mashatu Game Reserve (Click on the image to access the website). A passionate photographer whose love of nature shines through in her superb wildlife images. Neal is a wonderful photographer. His passion for the wild and wildlife photography has led him down a path where he owns CNP Safaris Western Cape and leads groups of photographers to the most amazing places in the world. 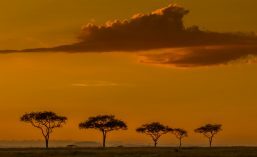 Neal’s primary aim with each safari is to help the photographers grow their knowledge of nature, improve their photography skills and build their editing skills. Duncan is a talented businessman, photographer and friend. Double click on his logo above to access his website. You will like what you see. I met Dou Pienaar on a Coetzer Nature Photography workshop in the Kalagadigadi Transfrontier National Park back in 2008. Great guy, a successful businessman and talented photographer who explores interesting places. Double Click on the picture above to access his website. You will find it interesting!! Have a look at the Top 100 Wildlife Photography blogs! (Double click on the logo).